Part of the charm of staying in a villa in Bali is the absolute pleasure that comes from… not cooking. Naturally, when we’re on holiday, the last thing on our minds is making grocery lists and toiling away in the kitchen when we could be lounging at the pool in our luxurious Bali accommodation. That said, there is a certain sadness that falls upon us when we get back to our city lives and the once rich flavours of Nasi Tepeng, and Sambal Matah start to fade away. Our eggs on toast and pasta bolognese just don’t quite hit the same spot. 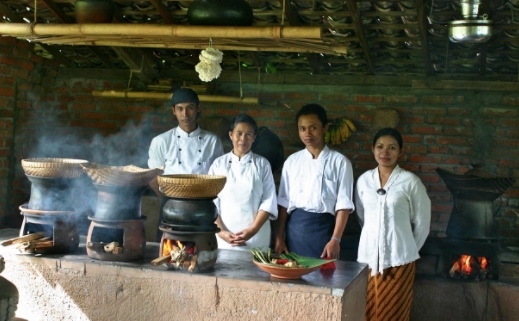 Luckily, the lovely people of Bali are not shy about sharing their vibrant cooking skills. In fact, there are so many cooking schools scattered about the island that it can be overwhelming to figure out where to go. 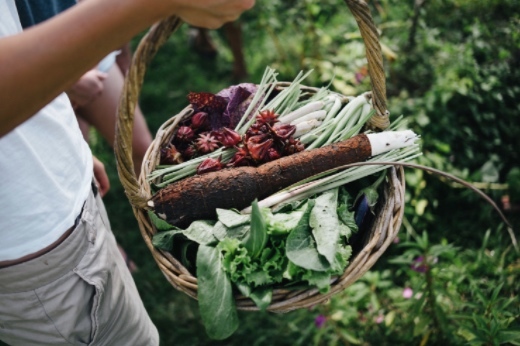 We’ve compiled a list of cooking classes that range from extravagant, resort-style experiences to rustic village adventure, and even an option for the all-organic eaters. Wherever your Bali Villa is booked, you’ll be able to find somewhere to get your fingers spicy. 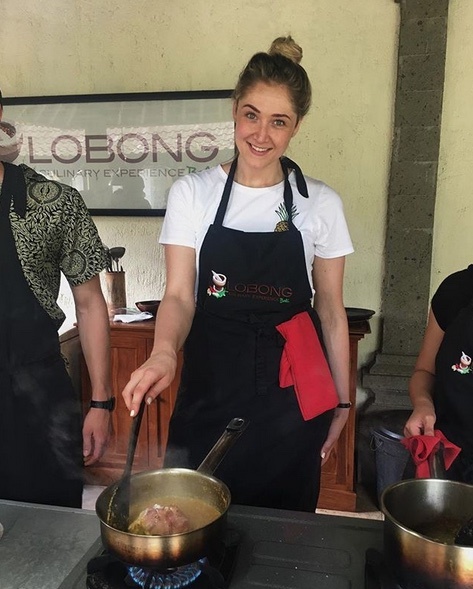 This day-long experience is perfect if you’re staying in an Ubud villa and you want to get a true local cooking experience starting from scratch. You’ll be picked up from your Ubud accommodation around 7:30 am and whisked along to the local vegetable market to pick out fresh herbs and produce. Your guide, Made, will offer information about why certain ingredients are chosen and how they fit into the Balinese culinary history. You will then be ushered into the family’s beautiful compound where you can suit up in traditional sarongs and make an offering to the deities. The chef will lead you through the process from start to finish, right down to the grinding of peanuts and sambal. Nearly everyone who experiences the Lobong class claims that it’s the best Balinese food they’ve ever eaten! 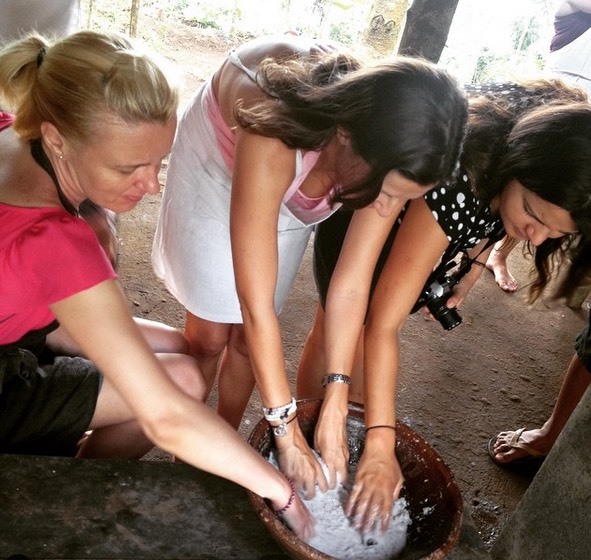 Nestled in the lush sacred village of Sidemen village, the Green Kitchen offers a truly traditional, hands-on experience unlike others amongst the hustle and bustle of town centres. It is just under a 2 hour drive from Canggu villas but pick-up can usually be arranged depending on where you have booked your Bali accommodation. It’s about as authentic as you can get beginning with a tour of their lush organic farm where the produce is collected for the class. All cooking is done on an outdoor wood fire overlooking the sparkling green valley. You can choose a meat or vegetarian meal plan and everything is made from scratch, even the coconut milk. While the pickup from either your Seminyak Villa or Ubud villa is scheduled at an hour that is almost unethical for a holiday, you’ll quickly shake off your morning fatigue once this exciting tour gets rolling. Before you know it you’ll be one coffee deep and cycling through the pandan fields and rice paddies, past ominous volcanoes and friendly locals, into the bustling farmer’s market. 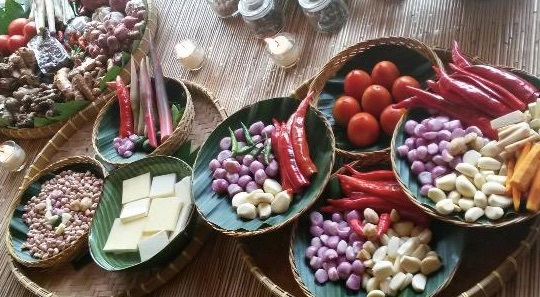 You’ll be served a traditional Balinese breakfast to fuel you through the busy morning. By lunch time you’ll be elbows deep in Duck Stay, famous Chicken Betutu, and several other local Hujan dishes. Of course, all food is enjoyed poolside before you are kindly driven back to your Bali villa. This is the perfect class for anyone staying in a luxurious Canggu Villa as it’s likely along the way of your morning walk to the beach. You will begin the class with a stroll through the traditional markets of Budung before setting up in the Balinese-style kitchen complete with wood stoves, woven steam baskets and terracotta pots. All ingredients are hand-cut or ground by mortar and pestle before cooking over the open fires and arranging everything along freshly picked banana leaves. You will cook at least five dishes during your session including the minced fish sate lilit or the ayam panggang bumbu terik. Enjoy lunch with the other class members amongst the gardens of Hotel Tugu with the waves of Echo beach rolling in the background. We couldn’t very well write an article on cooking classes without including perhaps the most famous one on the whole island. While Paon has gained somewhat of a reputation, you may be pleasantly surprised to learn that it takes place in the outdoor kitchen of a humble family home where you will be greeted for a morning tea and coffee. 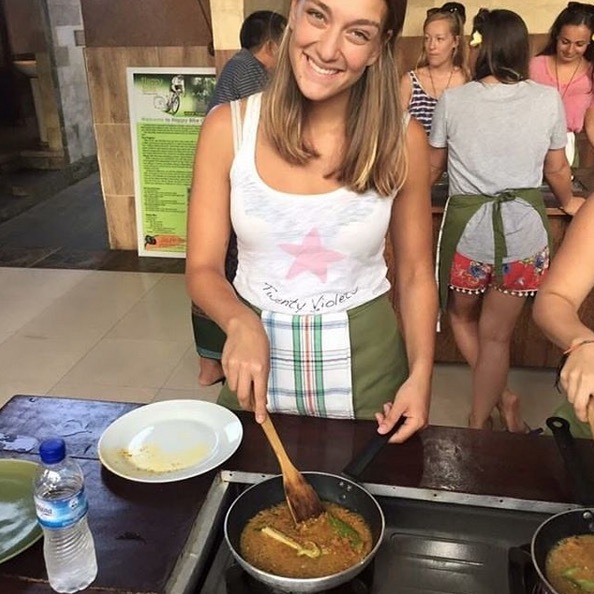 Like many other Balinese cooking classes, you will be guided on a tour of the local markets as any Balinese chef might begin their day. The chef and accompanying staff thoughtful educate all attendees on the selection and synergy of ingredients, even with an expansive menu of eight dishes! Due to the popularity, these classes tend to be a lot bigger than some of the other rather private experiences, but the best part (aside from eating the food) is that you can take all recipes home with you. Pickup is included for those staying in an Ubud Villa and you can choose from the morning or afternoon classes. Despite the surf, the beaches, the culture and the luxury of Bali, nobody goes home without remembering the food. Bali is undeniably a culinary adventure, but there is no reason you can’t take a little taste of that home with you. 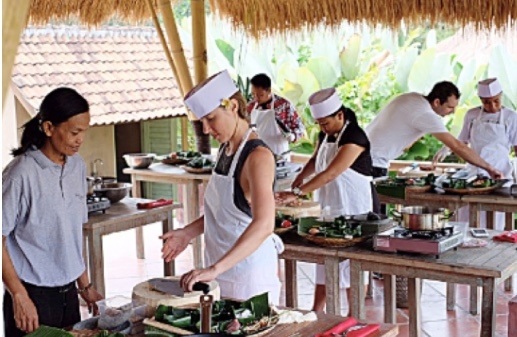 Next time you book your Bali villa, check out one of these classes and make the most of the generously gastronomic locals of the island.